WIKA, a world market leader in pressure and temperature metrology, approached Sagentia to help incorporate electronic functionality into its range of mechanical gauges. For some time WIKA had been keen to incorporate electronic functionality into its range of mechanical gauges, by directly sensing the deflection of the needle pointer. The company approached Sagentia because of our track record in sensor technology and our ability to provide a full development service from initial product concept through to manufacturing support. Our first task was to review a range of potential approaches. Following initial feasibility work with WIKA to establish the most appropriate technology to meet their requirements, we determined that the most efficient and cost-effective solution would be to use a novel magnetic sensing technology based on the Hall effect*. We devised an approach whereby the angle of rotation of the mechanical pressure gauge pointer is detected by the sensor and converted into a proportional electrical output signal, depending on the angular position of the magnetic field parallel to the sensor surface. This has been achieved with no physical contact between the gauge pointer and sensor, preventing any interference with the mechanism. 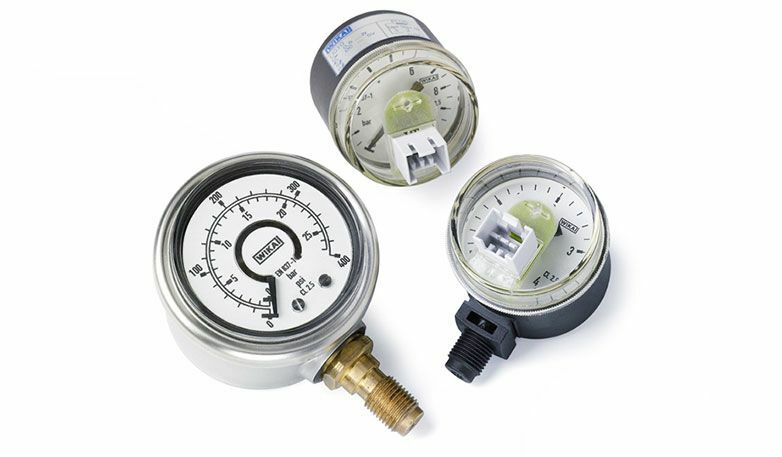 This maintains the inherent high accuracy of the gauge and leads to maximum reliability and robustness. Subsequently, we carried out a rapid development and prototyping stage, integrating the pre-existing mechanical gauge with pcb and case work. We also provided insights into the development of a calibration rig, which was subsequently used for full-scale automated production. The contact-free sensor technology (patent pending) has now been incorporated into the client’s recently launched LIG10 intelliGAUGE analog pressure gauge. The unit is available with a 0.5 to 4.5-volt output signal commonly associated with wall-type boilers and can measure pressures up to 25 bar. The breakthrough intelliGAUGE product now gives WIKA’s customers a unique solution which bridges the gap between the traditional analog mechanical pressure gauge and solid state electronic sensors.